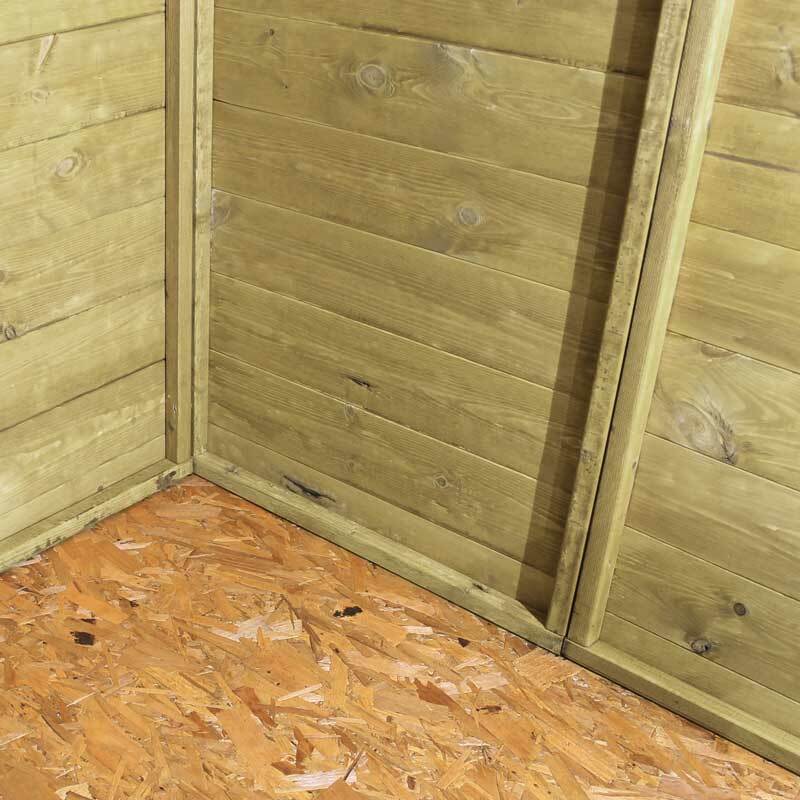 The 6ft x 4ft Shiplap Pressure Treated Apex Wooden Shed is the perfect solution for buyers who want a high quality garden building that won’t take up the whole garden. 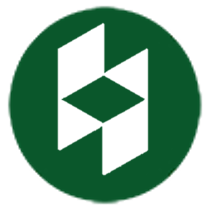 A solid 1” x 1” wooden frame creates a robust foundation that has been designed to withstand all weather conditions. 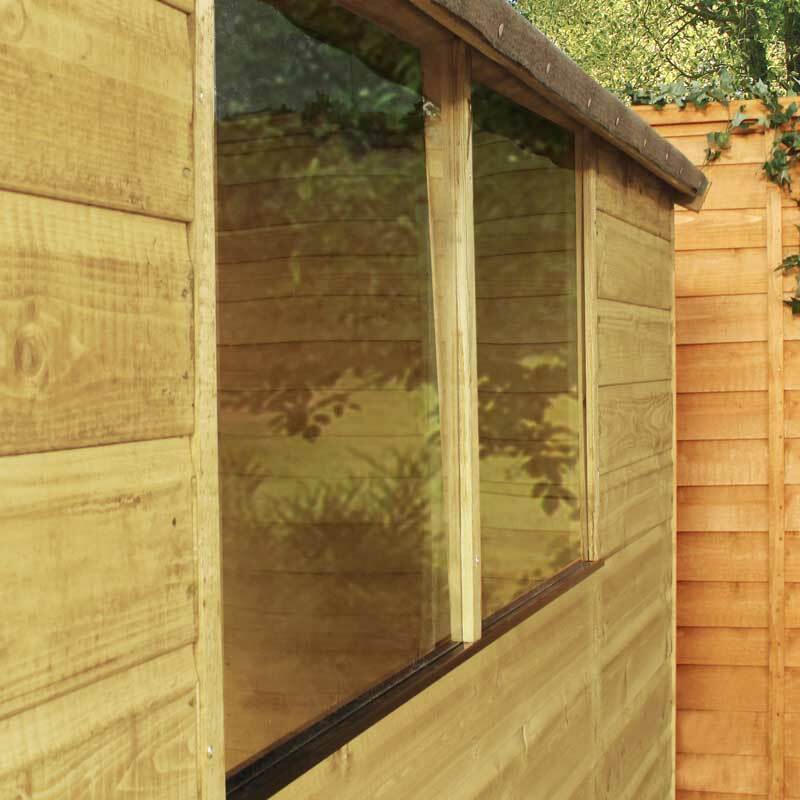 12mm thick shiplap cladding slots together to create a great looking finish that is water resistant, essential for protecting tools and gardening equipment against adverse weather conditions. 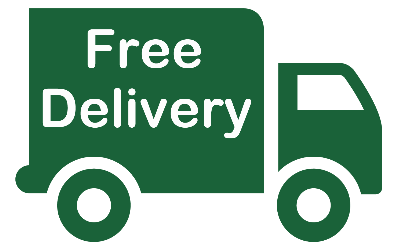 Preservative has been compacted into the fibres of the timber to create a long lasting finish that requires very little maintenance. 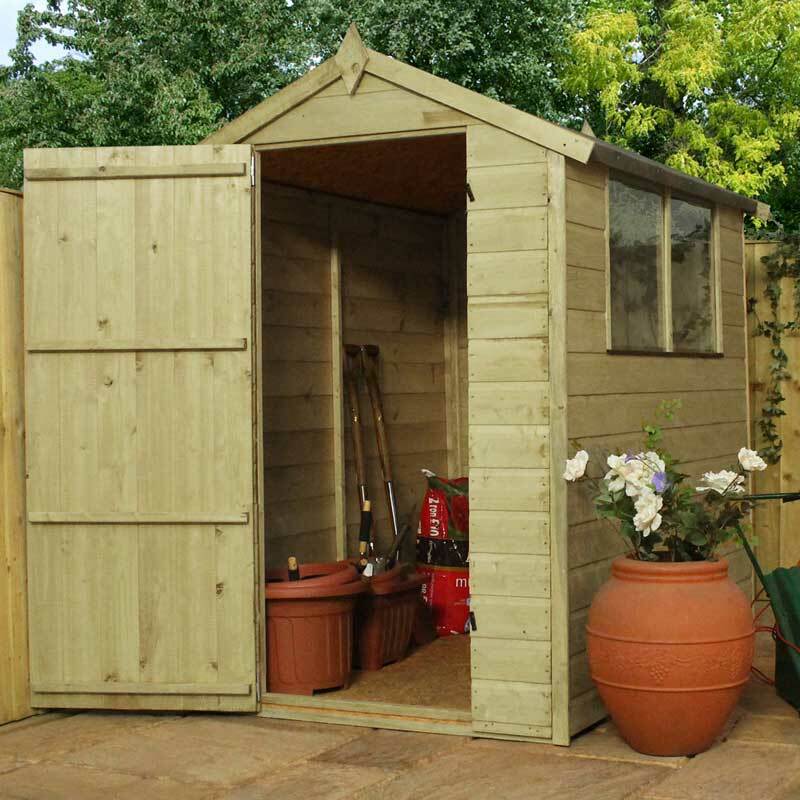 A traditional apex roof provides extra head room inside, essential if you have any awkward items that need storing. High quality mineral felt is included with this garden building to protect the roof against weather damage. Shatterproof styrene glazed windows allow natural light to flood in, whilst remaining a safer alternative to traditional glass glazing. 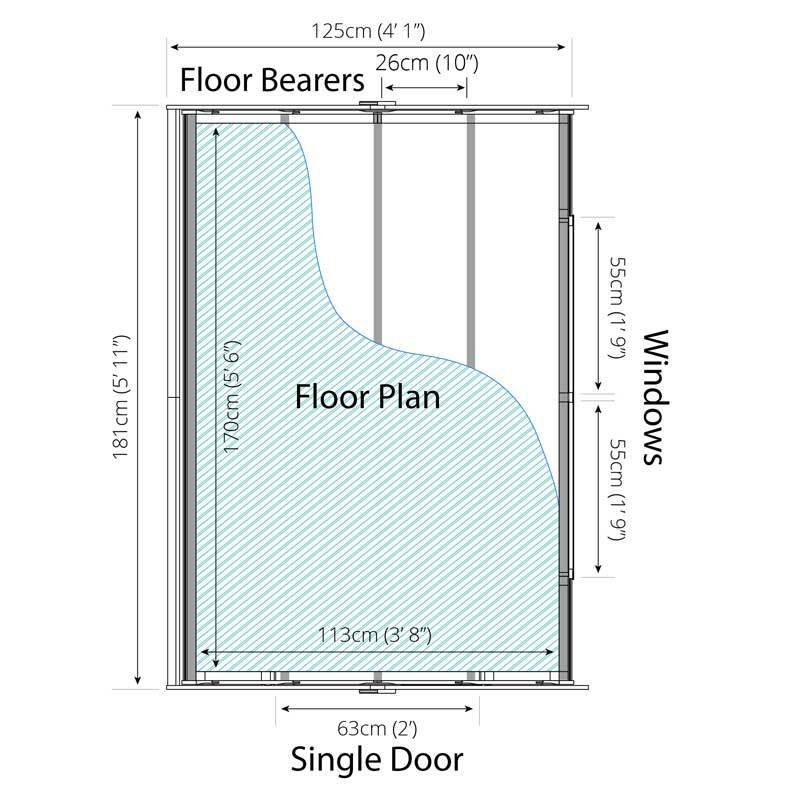 In order to provide extra support to the single door, braced ledging has been added to the inside, a turn button is included to keep the door closed when the shed isn’t in use. 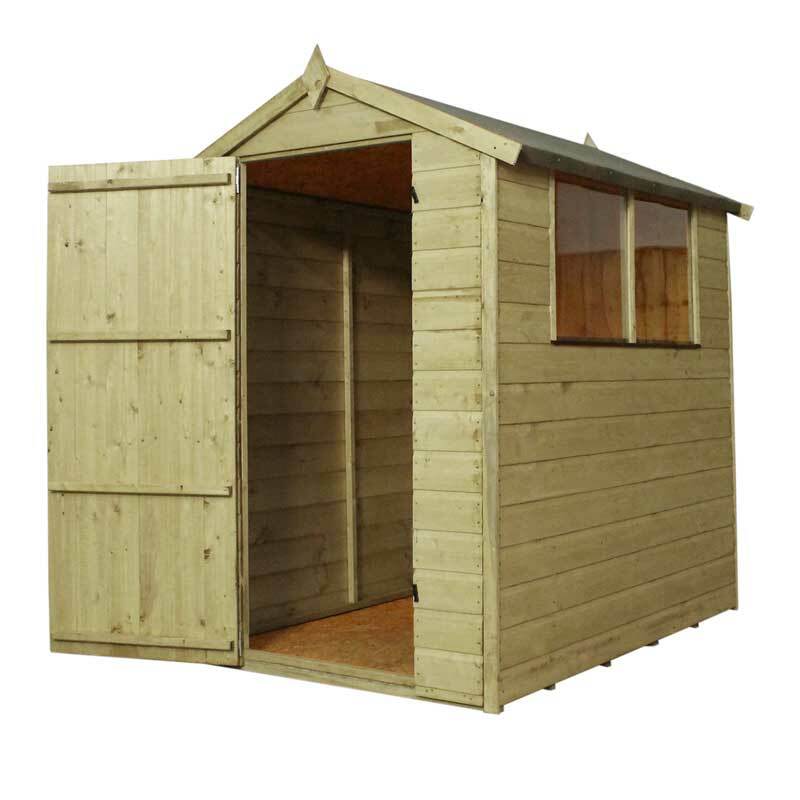 This pressure treated shed is ideal for buyers who want to store items such as a lawnmower and tools.